As dedicated image makers & storytellers, we are driven to provide compelling photography. We are a professional photography studio. We are asked to photograph a variety of subjects for our (awesome!) clients both in our studio or out on-location. As dedicated imagemakers & storytellers, we are driven to provide compelling photography. We are asked to photograph a variety of subjects for our (awesome!) clients both in our studio or out on-location. Need both Still and Motion Imagery for your campaign? Why go elsewhere when you can keep it all under one roof? We provide dynamic videos to complement our photography, or as a stand-alone service. 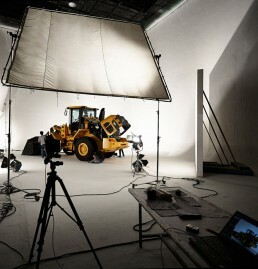 Integral to creating great imagery is an equally strong production service. Need location scouting or talent casting to go along with your project? Sit back and relax; we can provide it! Our clients have diverse needs to put the finishing touches on their projects. 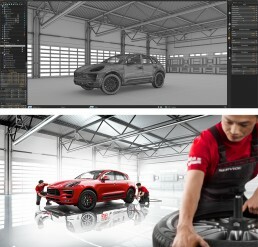 From simple touch-ups to modeling, rendering, and compositing a 3D imagined environment with a real product or person, we can do it – Beautifully! Don’t be shy! We’d love to hear about your new projects and make it into reality. KORE STUDIOS is a creative Team of dedicated Imagemakers using the latest techniques in photography, videography, and 3D CGI to create exciting visuals for ad agencies, brands, and businesses all over the world.